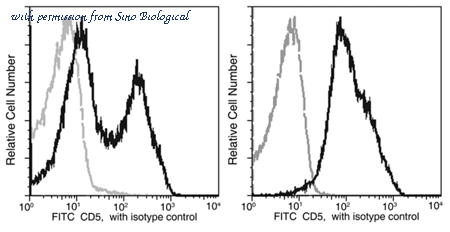 Detection of CD5 in Mouse Splenocytes by Flow Cytometry. Mouse splenocytes were stained with Rat Anti-Mouse CD3 APC-conjugated Monoclonal Antibody (Catalog # FAB4841A ) and either (A) Rat Anti-Mouse CD5 Fluorescein-conjugated Monoclonal Antibody (Catalog # FAB115F) or (B) Rat IgG2A Fluorescein Isotype Control (Catalog # IC006F ). View our protocol for Staining Membrane-associated Proteins . 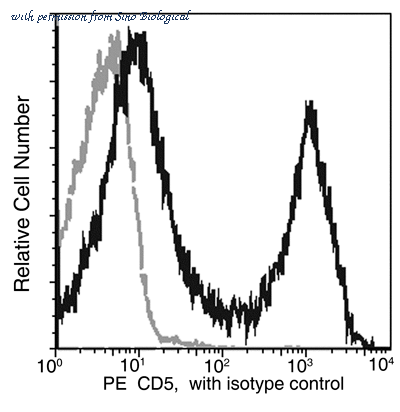 Detection of CD5 in Mouse Splenocytes by Flow Cytometry. Mouse splenocytes were stained with Rat Anti-Mouse CD3 APC-conjugated Monoclonal Antibody (Catalog # FAB4841A ) and either (A) Rat Anti-Mouse CD5 PE-conjugated Monoclonal Antibody (Catalog # FAB115P) or (B) Rat IgG2A Phycoerythrin Isotype Control (Catalog # IC006P ). View our protocol for Staining Membrane-associated Proteins . 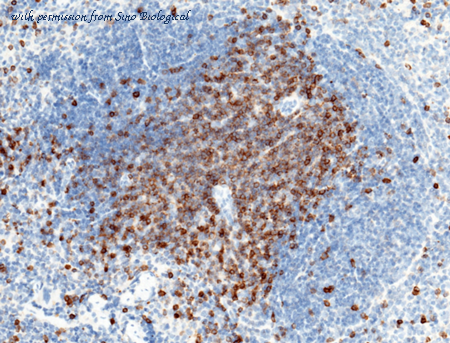 Immunochemical staining of mouse CD5 in mouse spleen with rabbit polyclonal antibody (0.2 µg/mL, formalin-fixed paraffin embedded sections). Positive staining was localized to membrane of T cells in periarterial lymphatic sheath. 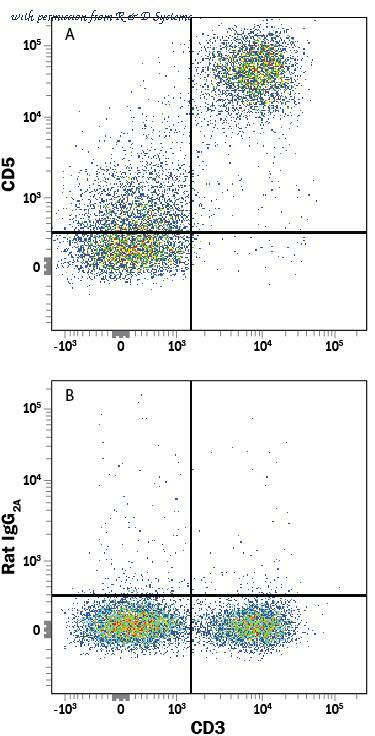 Flow cytometric analysis of mouse CD5 expression on lymphocytes. 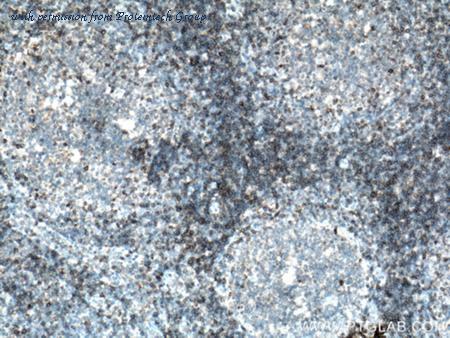 Profile of mouse splenocytes (left panel) and thymocytes (right panel) analyzed on a FACSCalibur (BDIS, San Jose, CA). The histogram were derived from the gated events based on light scattering characteristics of lymphocytes. 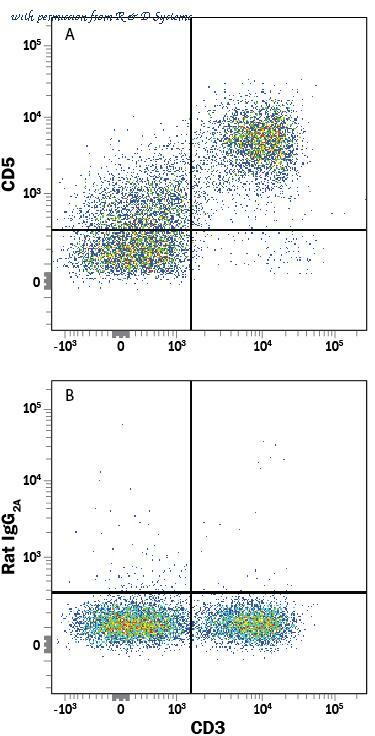 Flow cytometric analysis of mouse CD5 expression on splenocytes. Figure A. RPE conjugated rat anti mouse CD3 ( MCA500PE ) and Alexa647® conjugated Rat IgG2b isotype control ( MCA1125A647 ). 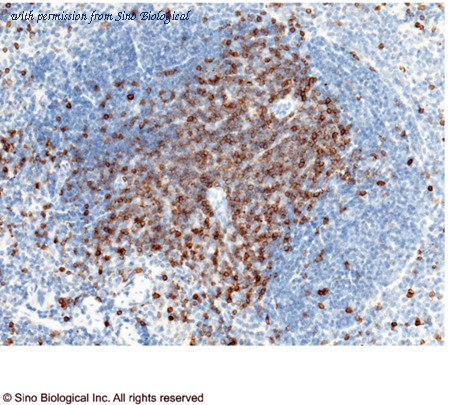 Figure B. RPE conjugated rat anti mouse CD3 ( MCA500PE ) and Alexa647® conjugated rat anti mouse CD5 ( MCA2280A647 ). All experiments performed on murine splenocytes in the presence of murine SeroBlock (BUF041A).